Health Care Fund Flow Where it comes from, Where it goes Samuel Metz, MD PNHP Portland OR Chapter Mad As Hell Doctors May 4th, 2010. 5 Whats the Point? 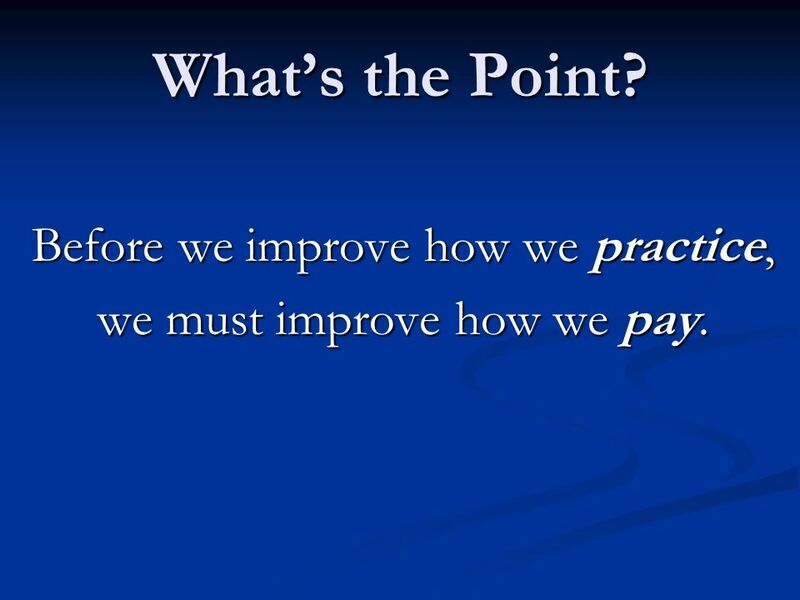 Before we improve how we practice, we must improve how we pay. 15 Funds in, funds out: What did we learn? 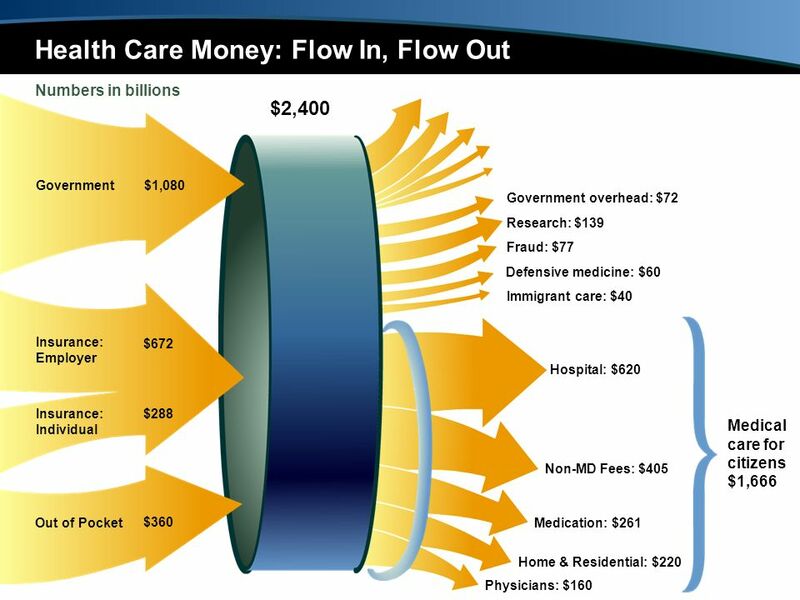 45% of health care funds flow through government (socialized medicine). 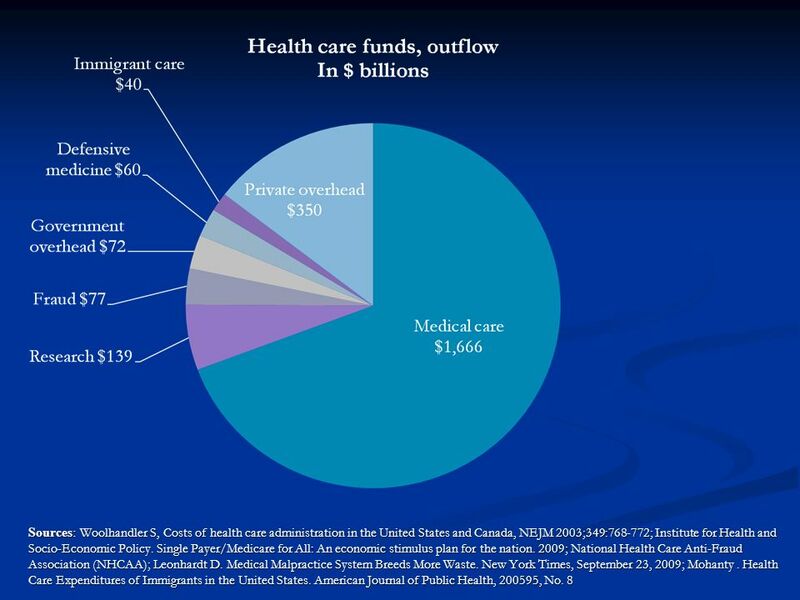 45% of health care funds flow through government (socialized medicine). 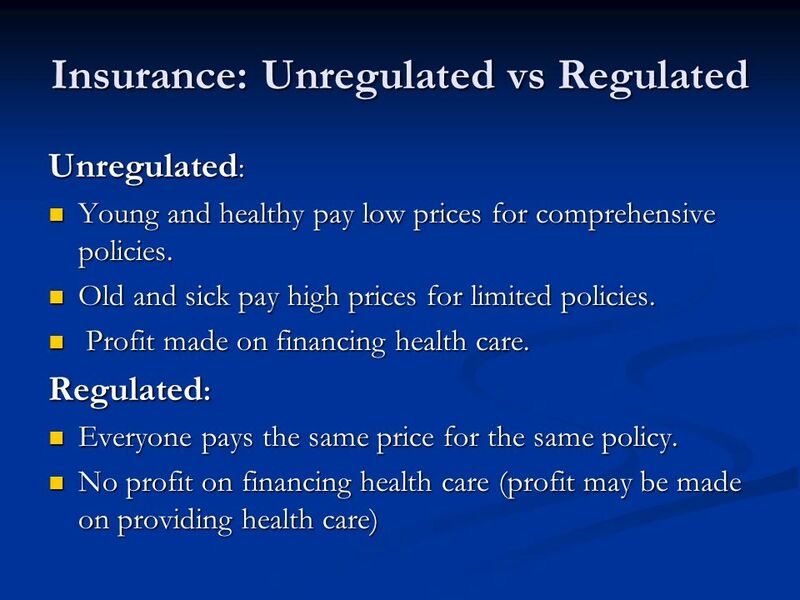 Unregulated private insurance is the most expensive method of funding health care in the world. 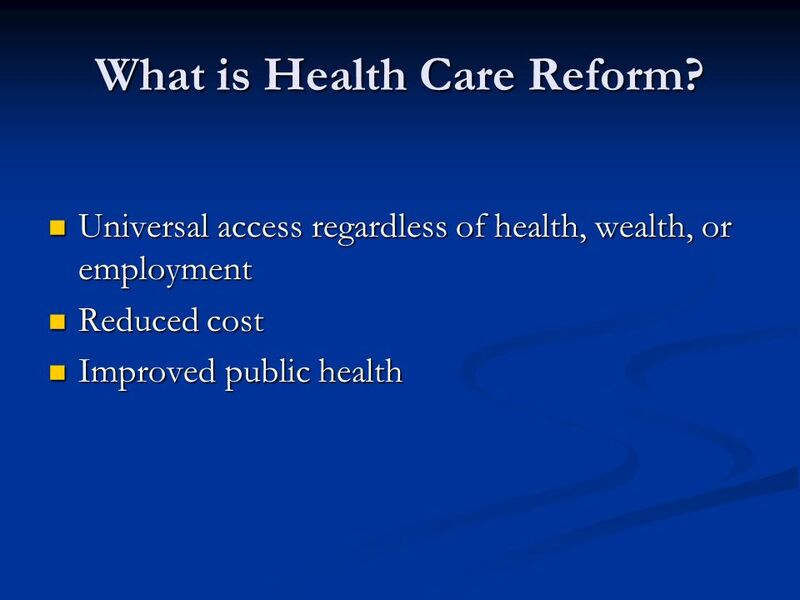 Unregulated private insurance is the most expensive method of funding health care in the world. 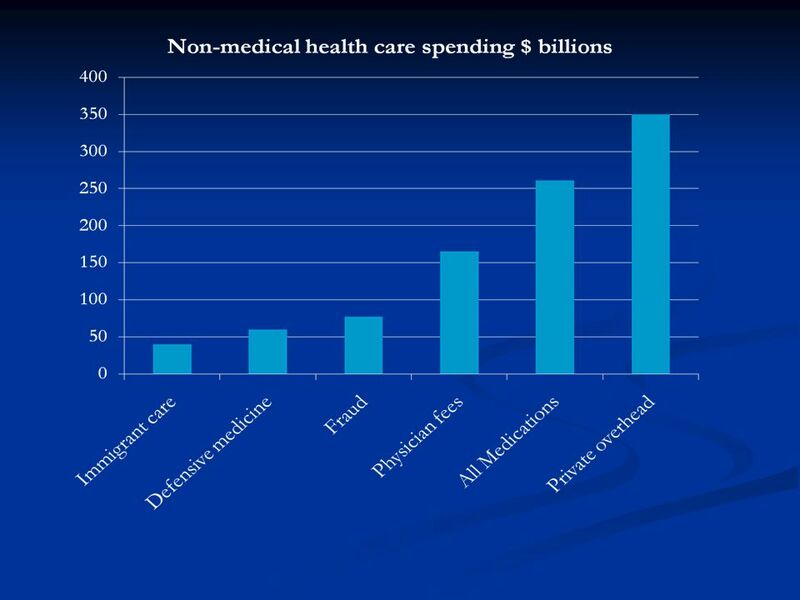 We can provide universal cost-effective health care with money we already spend. 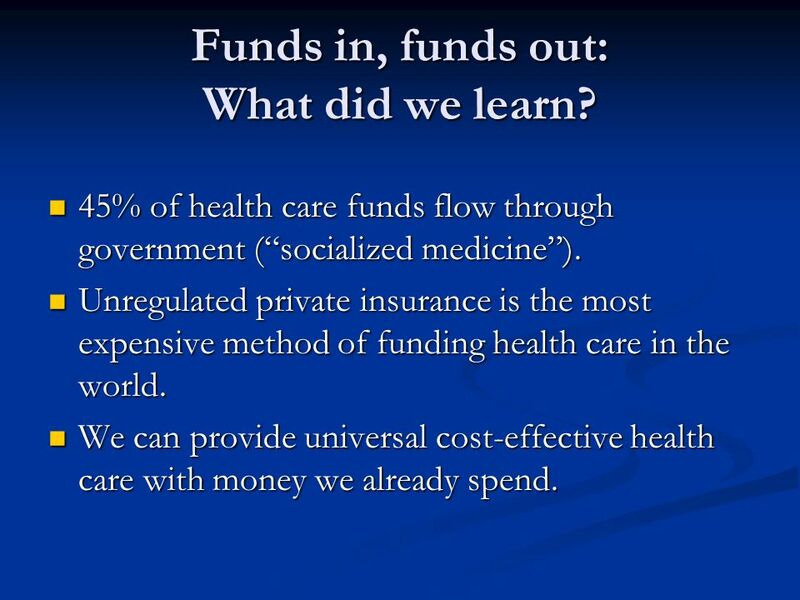 We can provide universal cost-effective health care with money we already spend. 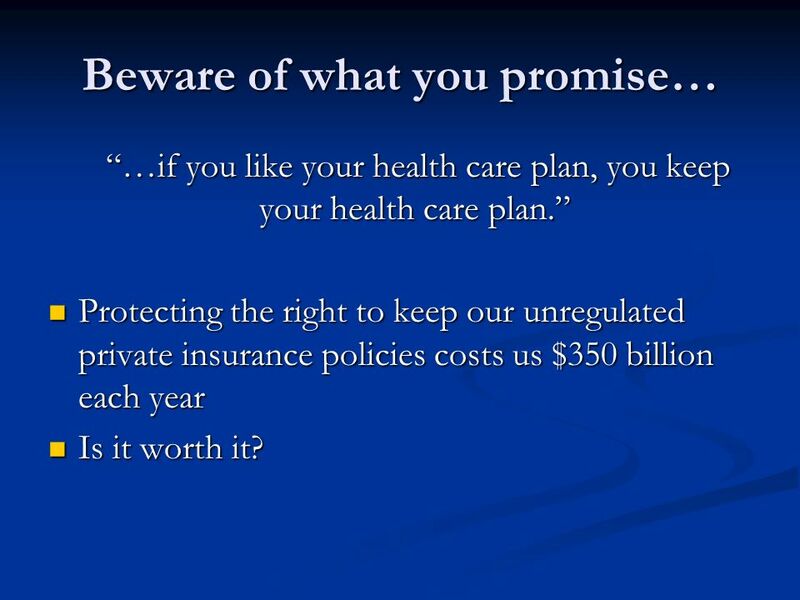 16 Beware of what you promise… …if you like your health care plan, you keep your health care plan. 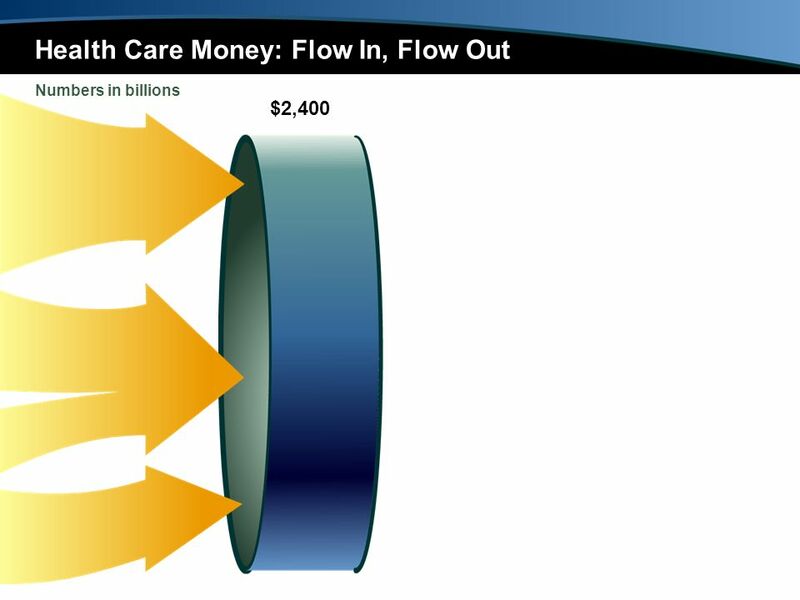 …if you like your health care plan, you keep your health care plan. 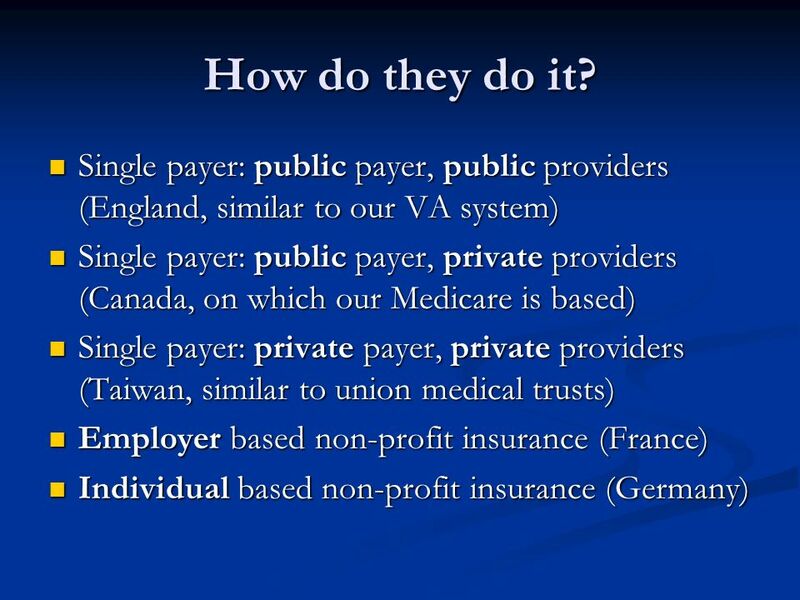 Protecting the right to keep our unregulated private insurance policies costs us $350 billion each year Protecting the right to keep our unregulated private insurance policies costs us $350 billion each year Is it worth it? Is it worth it? 17 Whats the Point? 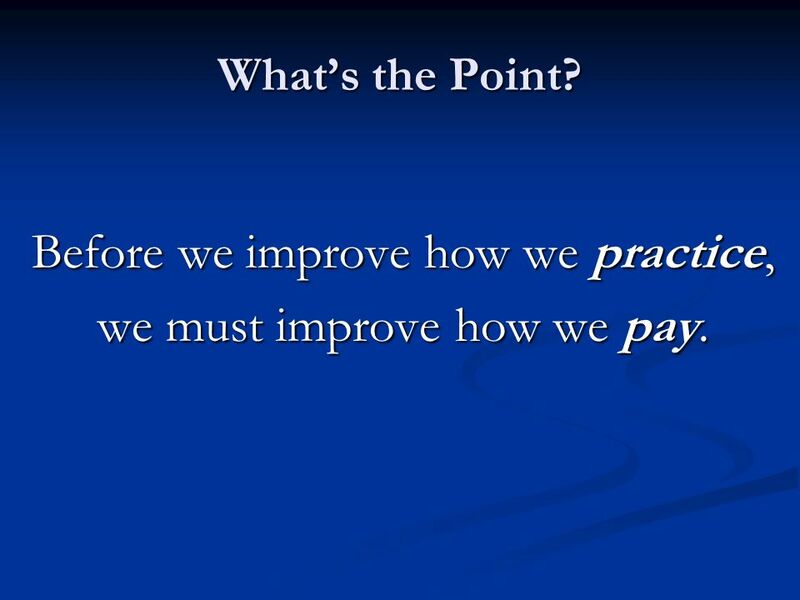 Before we improve how we practice, we must improve how we pay. 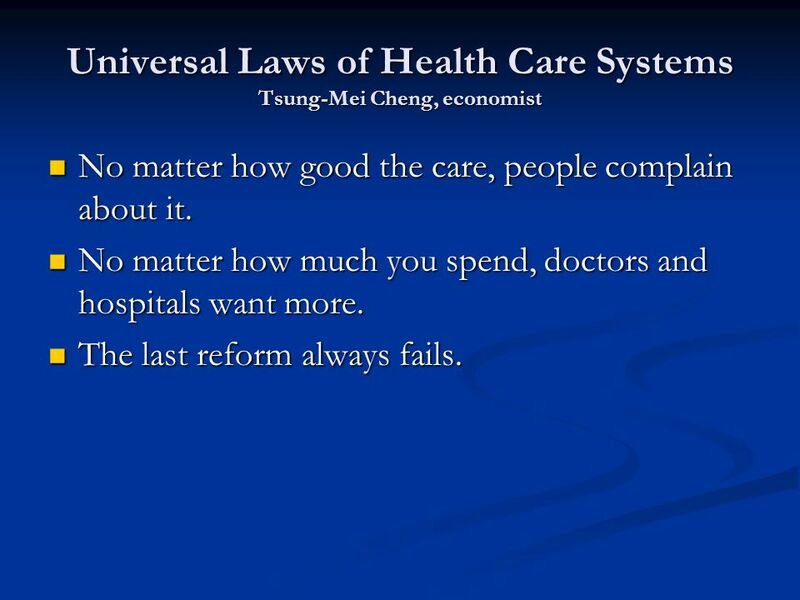 18 Universal Laws of Health Care Systems Tsung-Mei Cheng, economist No matter how good the care, people complain about it. No matter how good the care, people complain about it. No matter how much you spend, doctors and hospitals want more. 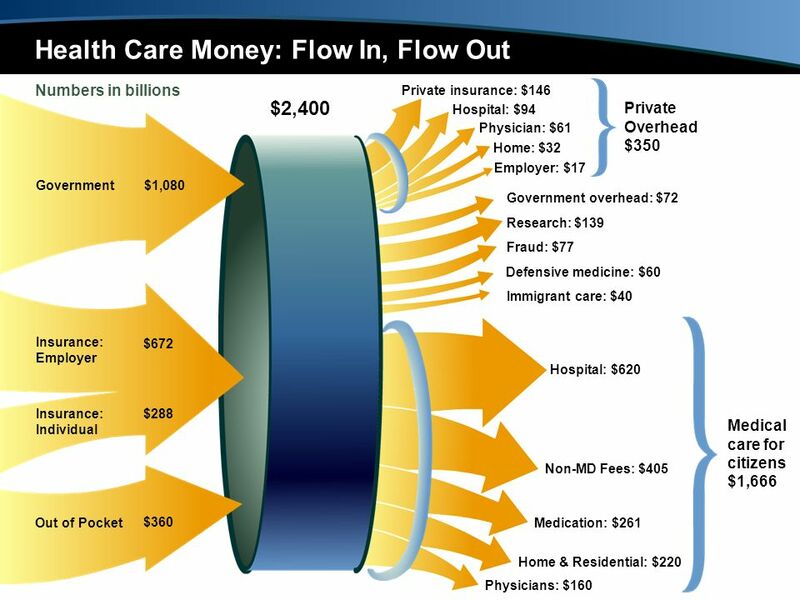 No matter how much you spend, doctors and hospitals want more. The last reform always fails. The last reform always fails. 19 What can Americans do? I love change, except the part about doing things differently. 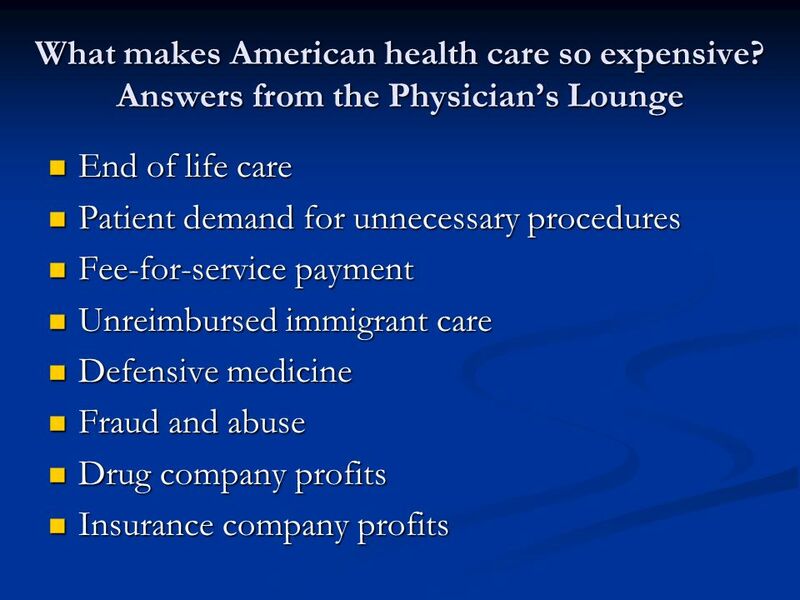 "In the United States today, we give you all the care you can afford, whether or not you need it, as opposed to all the care you need, whether or not you can afford it." 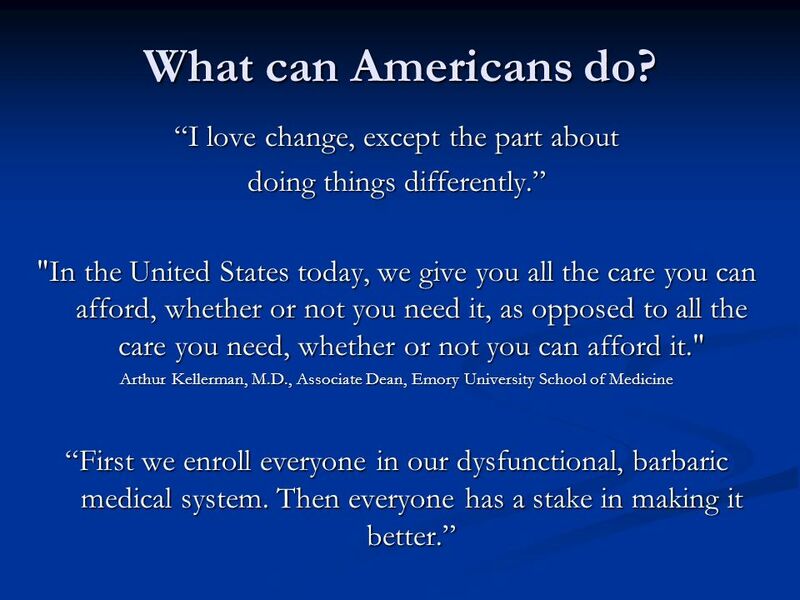 Arthur Kellerman, M.D., Associate Dean, Emory University School of Medicine First we enroll everyone in our dysfunctional, barbaric medical system. Then everyone has a stake in making it better. 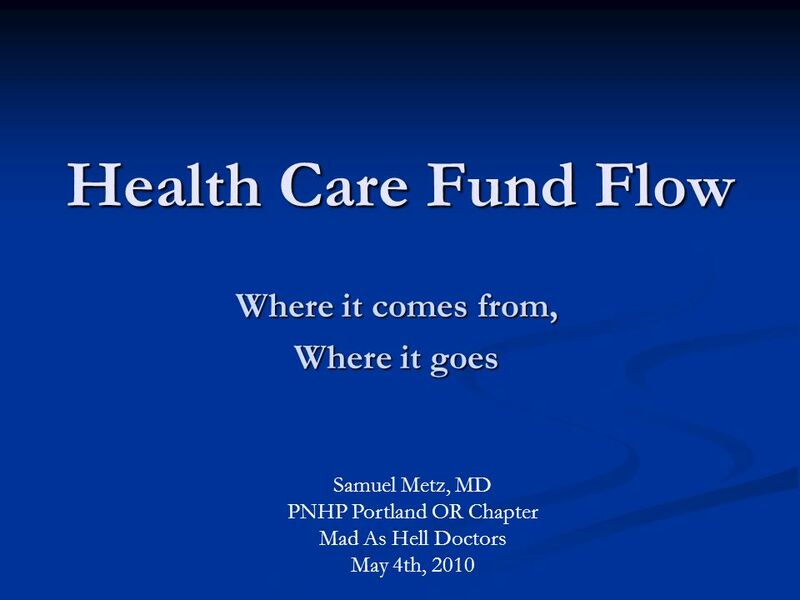 Download ppt "Health Care Fund Flow Where it comes from, Where it goes Samuel Metz, MD PNHP Portland OR Chapter Mad As Hell Doctors May 4th, 2010." 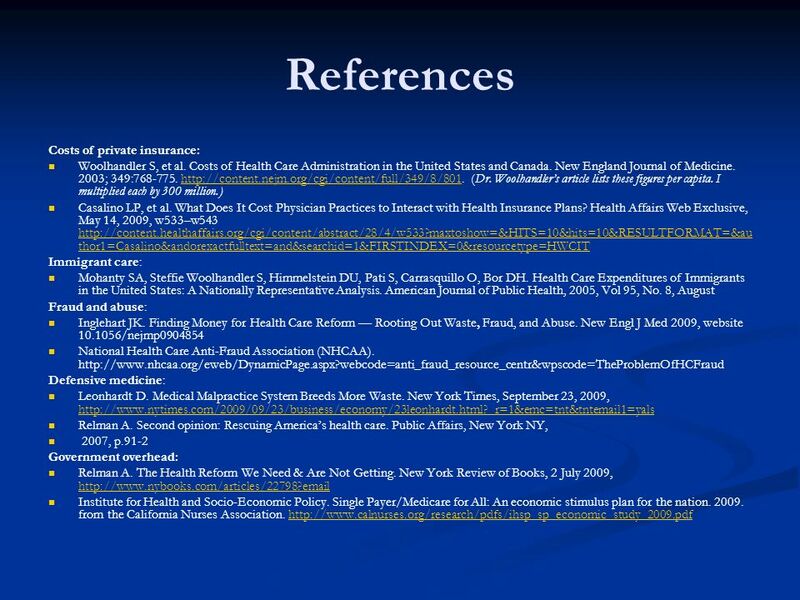 Researching the Health Care Debate Wharton School October 23, 2008. The Role of Health Coverage in Eliminating Disparities in Care Marsha Lillie-Blanton, DrPH Associate Research Professor GWU School of Public Health and. 0 Government of the District of ColumbiaDepartment of Health Care Finance For Official Government Use Only Health Care Expansions in the District of Columbia. Medicaid and CHIP: On the Road to Reform Cindy Mann, JD CMS Deputy Administrator Director Center for Medicaid, CHIP and Survey & Certification Centers. THE COMMONWEALTH FUND Health Care Reform in the 2008 Presidential Election Sara R. Collins, Ph.D. Assistant Vice President The Commonwealth Fund Alliance. URBAN INSTITUTE Refocusing Responsibility For Dual Eligibles: Why Medicare Should Take The Lead* October 28, 2011 Judy Feder Georgetown University/Urban. 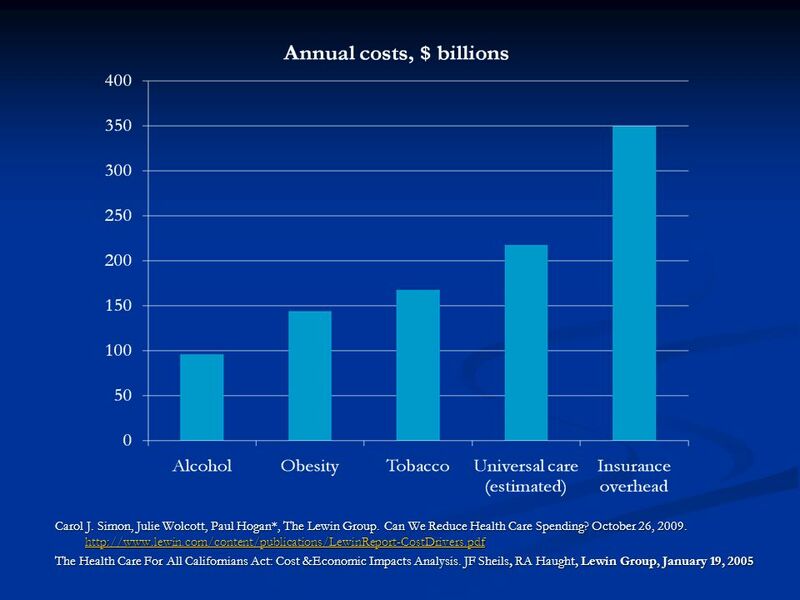 Understanding the Public on the Health Care Costs/Uninsured Issue: Implications for the Next Debate Surveys developed in collaboration with the Kaiser. 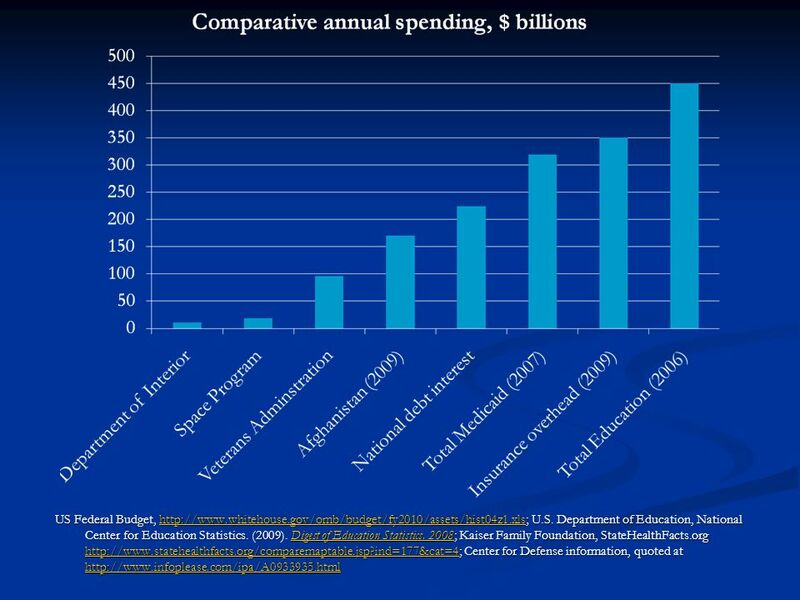 TABLE OF CONTENTS CHAPTER 1.0: Trends in the Overall Health Care Market Chart 1.1: Total National Health Expenditures, 1980 – 2005 Chart 1.2: Percent Change. TABLE OF CONTENTS CHAPTER 1.0: Trends in the Overall Health Care Market Chart 1.1: Total National Health Expenditures, 1980 – 2010 Chart 1.2: Percent. TABLE OF CONTENTS CHAPTER 5.0: Workforce Chart 5.1: Total Number of Active Physicians per 1,000 Persons, 1980 – 2009 Chart 5.2: Total Number of Active. TABLE OF CONTENTS CHAPTER 5.0: Workforce Chart 5.1: Total Number of Active Physicians per 1,000 Persons, 1980 – 2008 Chart 5.2: Total Number of Active. Appendices. 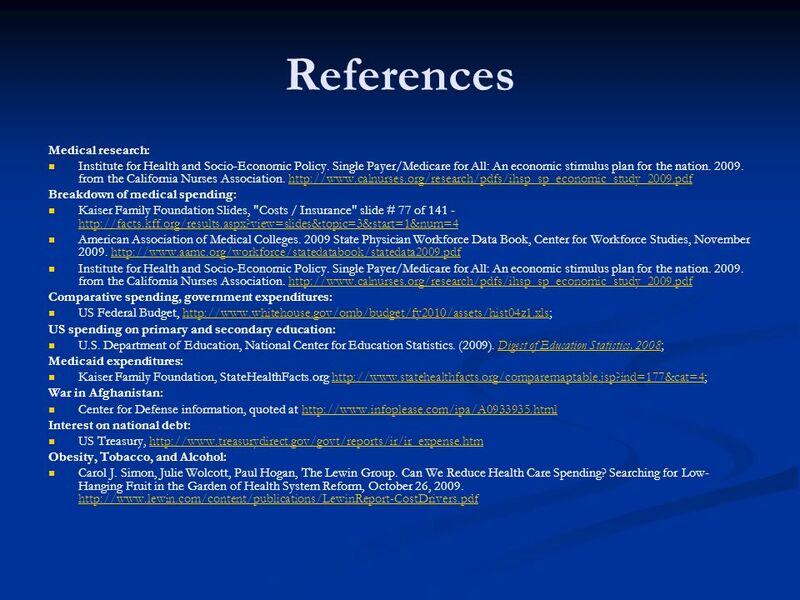 Appendix 1: Supplementary Data Tables Trends in the Overall Health Care Market. THE COMMONWEALTH FUND Figure 1. Health Insurance Coverage and Uninsured Trends Data: Analysis of the U.S. Census Bureau, Current Population Survey Annual. THE COMMONWEALTH FUND The Future of Employer-Sponsored Health Insurance The Commonwealth Fund and The Century Foundation Business and National Health Care. 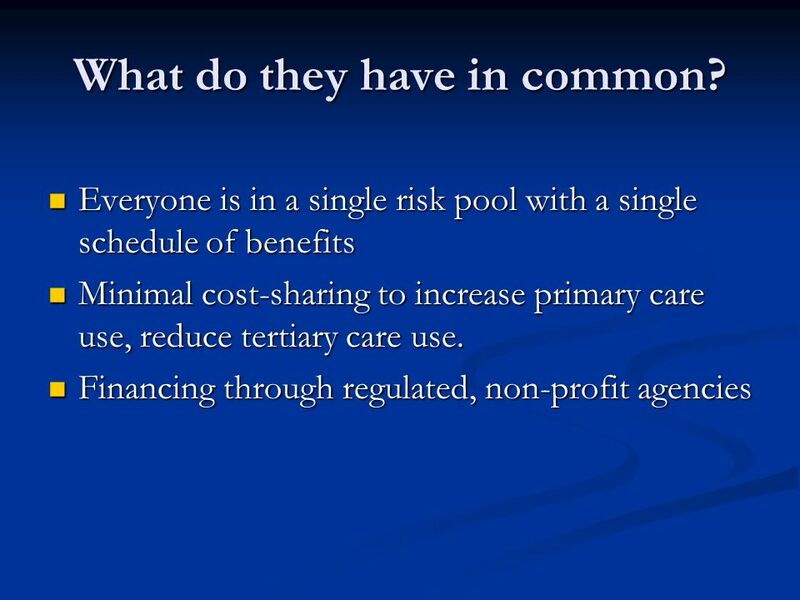 THE COMMONWEALTH FUND 1 An Estimated 116 Million Adults Were Uninsured, Underinsured, Reported a Medical Bill Problem, and/or Did Not Access Needed Health. Figure 1. Rating the U.S. Health System Scores on major dimensions of system performance Source: Commonwealth Fund National Scorecard on U.S. Health System. National Health Spending in 2012: Rate of Health Spending Growth Remained Low for the Fourth Straight Year Anne Martin Micah Hartman Lekha Whittle Aaron. 1 Building the Foundation: Health Care Costs Presentation to the Citizens Health Care Working Group May 13, 2005 Richard S. Foster and Stephen Heffler.